If you need proof that the government shutdown is affecting people, take a look at these lines. 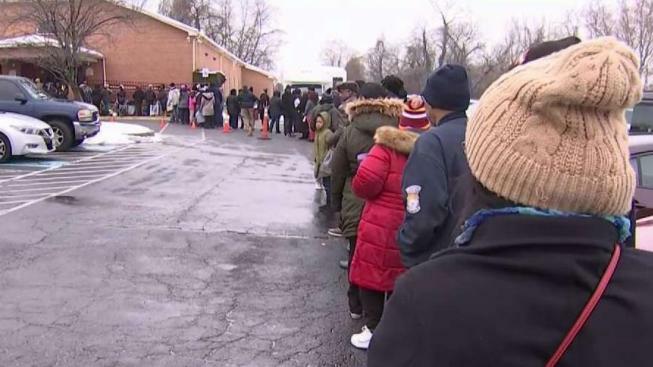 Scores of furloughed federal workers stood in the cold Friday in Capitol Heights, Maryland, to get free groceries. "I think I cry every day," one woman told News4's Tracee Wilkins. Doris Cochran, a disabled mother of two young boys, is stockpiling canned foods these days, filling her shelves with noodle soup, green beans, peaches and pears—anything that can last for months, or even years. Her pantry looks like she's preparing for a winter storm. But she's just trying to make sure her family won't go hungry if her food stamps run out. For those like Cochran who rely on federal aid programs, the social safety net no longer feels so safe. As the longest government shutdown in U.S. history stretches into a fifth week with no end in sight, millions of poor Americans who depend on food and rental assistance are becoming increasingly worried about the future. Most major aid programs haven't dried up yet. But each day the stalemate in Washington drags on, the U.S. inches closer to what advocates call a looming emergency. 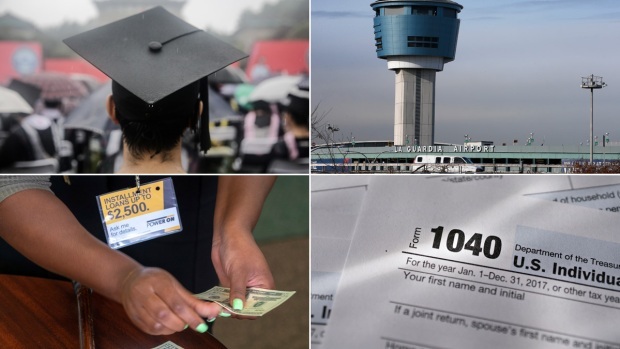 Those dependent on the aid are watching closely under a cloud of stress and anxiety. With no indication of an imminent compromise, the Trump administration in recent weeks has scrambled to restore some services across the government. But two agencies crucial to the federal safety net —the Department of Housing and Urban Development and the Agriculture Department —remain largely shuttered. USDA announced earlier this month that the Supplemental Nutrition Assistance Program, which provides food aid to roughly 40 million Americans, will be fully funded through February. But should the shutdown stretch into March its status is unclear: with just $3 billion in reserves, USDA won't be able to cover the roughly $4.8 billion it pays in monthly benefits. The department was able to stretch the program for another month based on a loophole in a spending bill. But as a result of congressional rules, food stamp benefits allotted for February are being given out early, before Jan. 20. There is no guarantee recipients will get food stamps for March, but if even if the program continues without a lapse, recipients would have to stretch their current allotment for at least six weeks, rather than four. The impact of any lapse in these programs would be dramatic and unprecedented: USDA says there has never before been a break in food stamp benefits since the program was made permanent in 1964. "This is a potentially catastrophic situation. This could be an immediate emergency that grows exponentially," Calvert said. Similarly, come February, 700 rental assistance contracts administered through a USDA program that offers aid to low-income people in rural areas, will also expire. A spokesman said the office "is exploring all options to mitigate any potential negative impact" to tenants. Eneaqua Lewis, 36, lives in a HUD-subsidized apartment on Roosevelt Island in New York City. She said she found out earlier this month her building's HUD contract expired January 9. A single mother raising a 10-year-old, Lewis was laid off from a construction job in December. Without an income or any significant savings, Lewis said she'd be forced to drain her meager retirement fund to cover the full amount due with no rental assistance subsidy offsetting the expense. "People are really afraid right now and just don't know what to do," Lewis said. "I can't afford market rate rent here. Where would I go, where would everyone go? One side of the building is all elderly or handicapped. The other side is all families. Where would we all go?" She lives in subsidized housing in Arlington, Virginia, with her six- and eight-year-old sons. She used to drive a truck, but recent health issues have left her unable to work. She relies solely on government subsidies to survive, cobbling together just enough to support her children using social security payments, food stamps and cash assistance payments. If any one of those federal programs were to stall, Cochran could end up on the street. 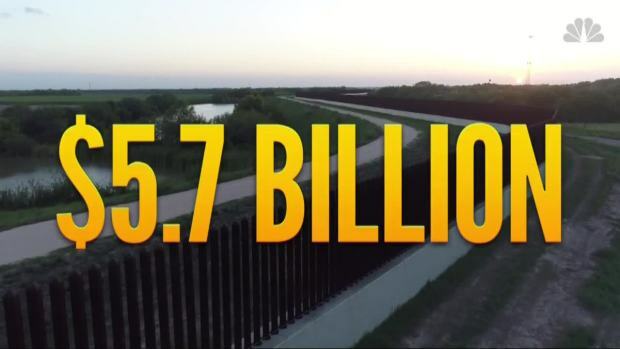 Democratic leaders and even some Republicans say they can't support President Donald Trump's offer to extend limited protections to undocumented immigrants in exchange for border wall funding and an end to the government shutdown. Cochran said she's trying to sell some homemade crafts, and clothes to secondhand stores to squirrel away a few extra dollars. She returned the toys she'd bought for her sons for Christmas_a Hot Wheelz racetrack for the eight-year-old, a Mighty Beanz game for the younger boy_so she could buy them shoes.